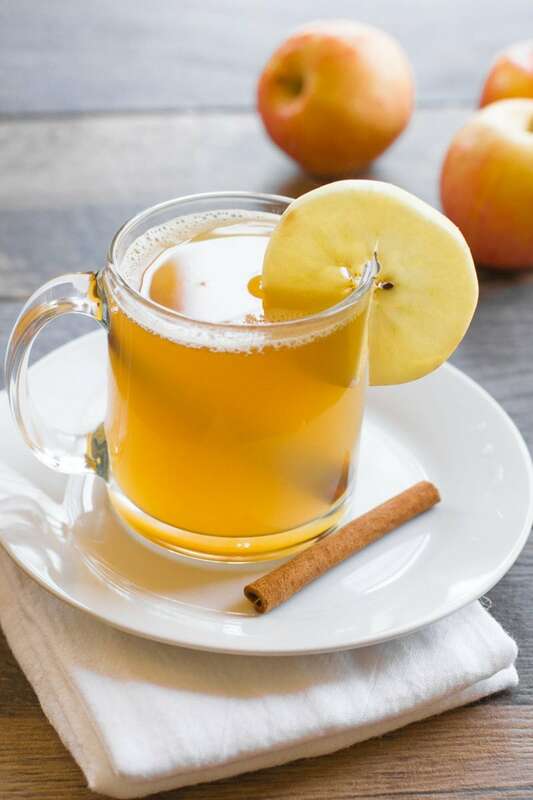 Warm and cozy, this Apple Cider Hot Toddy is perfect for sipping on by the fire this holiday season. There are a lot of wonderful things that I love about the holidays. I love how (almost) everyone has a little pep in their step. I love catching up with friends and family that I don’t normally get to see. I love the delicious, heavy, gloriously sugar- and butter-filled food. I love the parades. And holiday cards. And the lights. And the decorations. And the music. And the bourbon. I love the bourbon. We always have bourbon in my house (we are a stone’s throw to Kentucky, after all), but the bottle gets pulled out of the liquor cabinet a lot more during the holidays. To me, the flavor of bourbon is an engrained part of this time of year. Bourbon balls (forget rum balls). Derby pie. Blondies. Eggnog. Cookies. Bourbon all the things! I’m really glad they sell Buffalo Trace at Costco (at least at our Costco, I hear bourbon isn’t a normal thing in all Costcos—what a shame), because we’ll be going through a good dose of the stuff over the next two months. 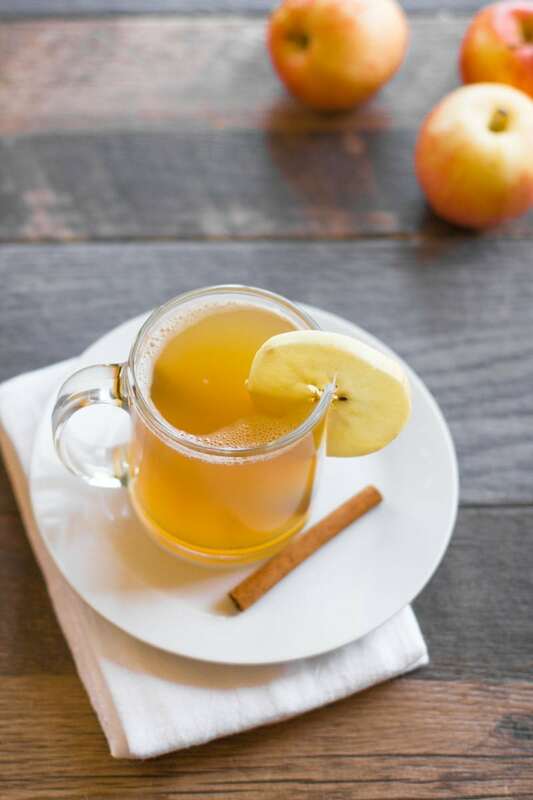 This apple-tastic version of a classic hot toddy is a fun, warm, cozy drink that is perfect to sip on while you sit by the fire with your relatives during your turkey coma. Hot Toddies (Toddys?) are typically “known” for their use as a home remedy for a cold—and while that’s certainly still applicable to this drink, I think the hot toddy deserves to break out of the shadow of sickness. 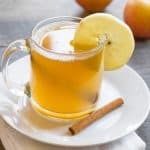 A hot toddy is a wonderful drink to sip on even if you are in top fighting shape! Typically, a hot toddy draws a lot of its flavor from the whiskey (here I use bourbon, but you can really use just about whatever whiskey you’d like), so if you prefer cocktails that mask the flavor of the booze—this one probably isn’t for you. It isn’t like sipping bourbon straight, but it definitely has a pronounced bourbon flavor that I find completely wonderful and cozy. Bourbon haters need not apply. I’ve included directions for a single drink below, plus information for how it can easily multiplied for a crowd. I try to make sure to always have a warm cocktail simmering on the stove (or in the slow cooker) when I have holiday gatherings. It’s hard to resist a warm and tasty mug of holiday cheer! Enjoy. 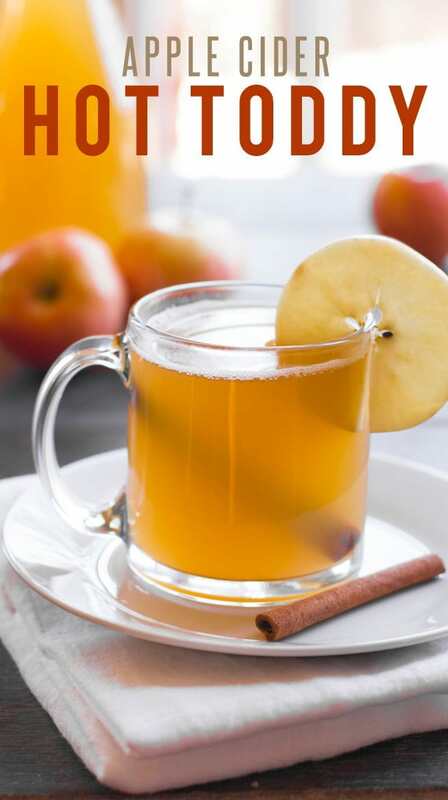 Combine the apple cider, lemon juice, honey, and cinnamon stick in a small saucepan. Bring to a boil over medium-low heat, then reduce heat and simmer for about five minutes. Remove from heat, stir in the bourbon, and serve immediately. Look for unfiltered apple cider if you can find it. It has a lot more apple-tastic flavor to it! To make this for a crowd, use the following measurements: 1/2 gallon of apple cider, 1/4 cup lemon juice, 2/3 cup honey, 4 cinnamon sticks, 1 fifth bottle of bourbon. Makes 16 drinks. Keep simmering on the stove with a ladle and mugs nearby, or pour all into a slow cooker, and let cook on high for two hours before serving. see im not a bourbon person but again i have only had it once so dont even know what to expect. i wish i lived closer to you so we could have a hot toddy party. Pep in their step is right! That’s the best part of this season! :) Love this apple cider! And that it’s called a hot toddy. That’s adorable. I bought my first bottle of Buffalo Trace just the other day—no idea what took so long! This is now on my short list of bourbon drinks… Thanks! Love hot toddies! This sounds like a great take- will definitely try. Buffalo trace is also a go to at our house! Thanks for sharing–such a delicious, simple drink. Tested it out with the hubby tonight; can’t wait to enjoy it while playing games with the grown up kids after Thanksgiving dinner. Have a joyous one! We made this for Thanksgiving. I made the large batch in the crock pot. Everyone loved it! SO GOOD!